For their latest two editions, Biennale Interieur invited Jörg to run a one-week design workshop for the winners of the prestigious Interieur Awards. The workshop in 2014 took place at Domaine de Boisbuchet in the south of France, familiar for their Vitra Summer Workshops. Two years later, in 2016, Le Grand-Hornu in Belgium provided the location for the workshop. Together with the winners, Jörg developed the scenography concept for the awards exhibitions at the Kortrijk fair. 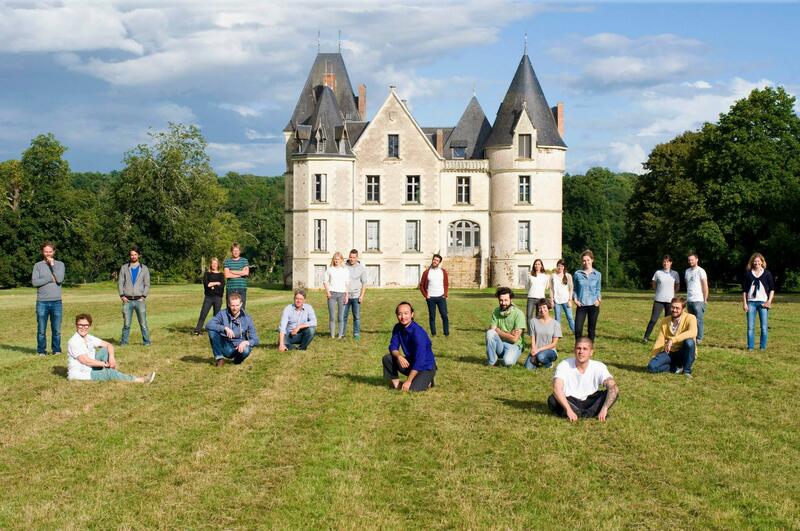 Have a look at the Interieur Awards 2016 exhibition "Click"
Have a look at the Interieur Awards 2014 exhibition "To the point"
In 2014, everybody came together in Boisbuchet, a magical place, immersed in nature and away from everything. A really heterogeneous group of people. The workshop week in Boisbuchet was very intense. The participants worked hard and came to a result at the end that excited them all. The exhibition design concept the 20 award winners developed involved an optical illusion that, when viewed from a certain perspective, showed all 20 products apparently encompassed by a circle. The 2016 awards workshop took place at the historical site of Le Grand Hornu in Belgium. The location, with its rich industrial past, was a perfect environment to work in and spend time with the winning designers from all over the world. The question of how to generate the perfect digital memory of the Interieur Awards formed the starting point of the discussion. The final concept, ‘Click’, introduces a new way to experience products – between the physical object and its digital image – inspired by an infinity wall, each object is framed within the exhibition space.